When notorious serial killer Joe Carroll (James Purefoy) escapes from Death Row and embarks on a new killing spree, scarred veteran FBI agent Ryan Hardy (Kevin Bacon) works closely with FBI Specialist Debra Parker and sharp upstart Mike Weston to track down a network of Carroll's twisted cult of serial killers in this terrifying new series. Special Features From A Dark Place: Maximum Episode Mode: Executive Producers' Audio Commentary .. The hit psychological thriller from Kevin Williamson makes a killer return in Season Two. With serial killer and cult leader Joe Carroll (James Purefoy) presumed dead, ex-FBI Agent Ryan Hardy (Kevin Bacon) has spent a year rebuilding his life. But a horrific killing spree motivates Hardy and his ex-partner, Agent Mike Weston (Shawn Ashmore), to contact the lone survivor, Lily Gray (Connie Nielsen). As Hardy investigates on the down-low ..
After a harrowing game of cat and mouse that led to the capture of serial killer and cult leader Joe Carroll (James Purefoy) in Season Two, Ryan Hardy (Kevin Bacon) has finally moved on. He's returned to the FBI to work with his niece, Max Hardy (Jessica Stroup), and partner, Mike Weston (Shawn Ashmore), and he's found new love with Dr. Gwen Carter (Zuleikha Robinson). But Ryan's happiness is quickly shattered when another threat arises..
Every episode from all three seasons of the American drama about a former FBI agent trying to track down a serial killer and his cult of like-minded criminals. 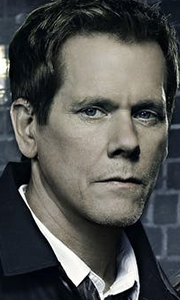 Kevin Bacon stars as Ryan Hardy who is determined to catch Joe Carroll (James Purefoy) after he learns of the killer's escape from prison. Season 1 episodes are: 'Pilot', 'Chapter Two', 'The Poet's Fire', 'Mad Love', 'The Siege', 'The Fall', 'Let Me Go', 'Welcome Home', 'Love Hu..
After a harrowing game of cat and mouse that led to the capture of serial killer and cult leader Joe Carroll (James Purefoy) in Season Two, Ryan Hardy (Kevin Bacon) has finally moved on. He's returned to the FBI to work with his niece, Max Hardy (Jessica Stroup), and partner, Mike Weston (Shawn Ashmore), and he's found new love with Dr Gwen Carter (Zuleikha Robinson). But Ryan's happiness is quickly shattered when another threat arises ..